Bianca is an executive and project assistant with experience in both the UK and Australia and currently based in Nous Group’s London office. She has a background that also includes project support in the energy and construction sectors. She is a people person with an affinity for project organisation and client communication. 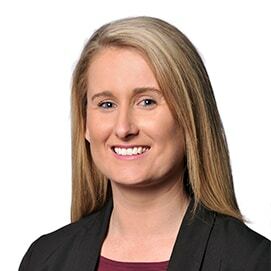 Bianca has excellent stakeholder management skills, an eye for detail and understands the support a project requires to deliver outstanding outcomes. Managed stakeholder involvement for an internal ‘client listening’ process to test Nous’ client views on the organisation’s proposed strategic directions and our service offer. Prior to joining Nous, Bianca worked for Mace Group in the UK on projects including the British Museum, 5 Broadgate and Terminal 2 Dublin Airport; as well as for the Australian energy provider Essential Energy. Bianca is undertaking a Bachelor of Science in Business Management (Honours) from BPP University. She also holds diplomas in events management and business management, along with multiple business related certificates. Bianca enjoys spending time with family and friends; travelling; and all things sports. An adrenaline junkie at heart, she plans to qualify for her skydiving licence.